Santa Rosa 1-Piece 1.6 Gpf Compact Elongated Toilet With Aquapiston Flush Technology In Ice Grey The Santa Rosa Comfort Height 1-pc compact elongated 1.6 gpf toilet offers the exceptional functionality you expect from Kohler in a smaller footprint, so you can transform even the smallest of bathrooms into a well-designed, comfortable space. 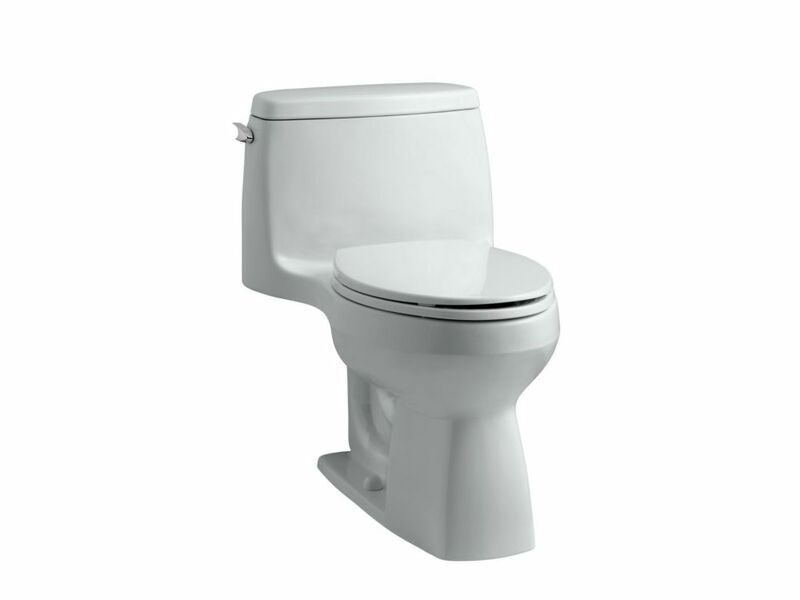 Santa Rosa 1-Piece 1.6 Gpf Compact Elongated Toilet With Aquapiston Flush Technology In Ice Grey is rated 4.3 out of 5 by 7. Rated 5 out of 5 by HouseFox from Excellent product. Quiet, quick flush, comfortable seat/height! Like it so... Excellent product. Quiet, quick flush, comfortable seat/height! Like it so much getting ready to replace two other toilets with same model in different colours! Rated 3 out of 5 by Quilty from The Kohler Santa Rosa model toilet installed 3 weeks ago works fine and has a fairly quiet flush.... The Kohler Santa Rosa model toilet installed 3 weeks ago works fine and has a fairly quiet flush. My building maintenance had no problem installing it. On the minus side it requires two flushes half of the time to flush solid waste which often sticks to the back of the bowl. Rated 4 out of 5 by John from The new toilet has worked good. I am happy... The new toilet has worked good. I am happy with it. Rated 5 out of 5 by MB from Good quality and comfortable. Good quality and comfortable.